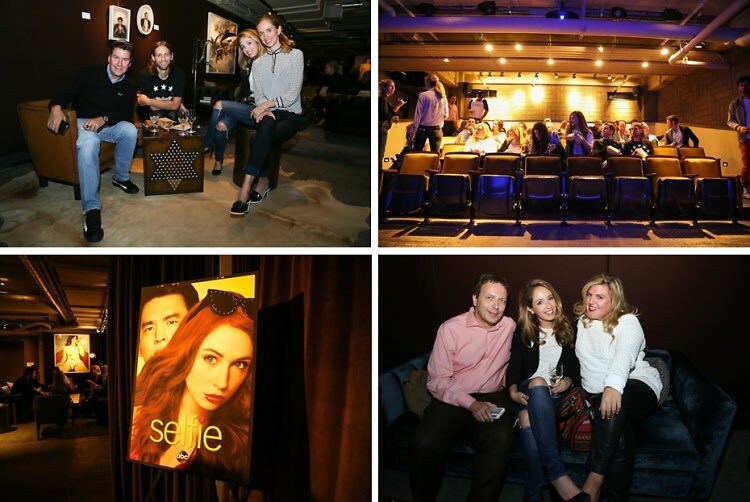 On Friday night, Guest of a Guest hosted the first in a series of sneak peek screenings of ABC's new show, "Selfie." Guests gathered at NeueHouse for the intimate event, where they enjoyed specialty cocktails and wine provided by St. Germain and Wine Awesomeness in the subterranean library and screening room. The lush setting was perfect for the buzzy, social media-themed night, as it provided plenty of photo-worthy moments and, of course, selfie-ops. Who was there: Guests included Ashley Simko, Benjamin Glover, Carson Eisenhart, Carson Griffith, Colson Barnes, Dale Slear, Jenna Burke, Lara Eurdolian, Logan Lee, Logan Samuelson, Michael Fragoso, Neuehouse, Peter Davis, Peter Feld, Rachelle Hruska, Tatiana Trujillo, and more.